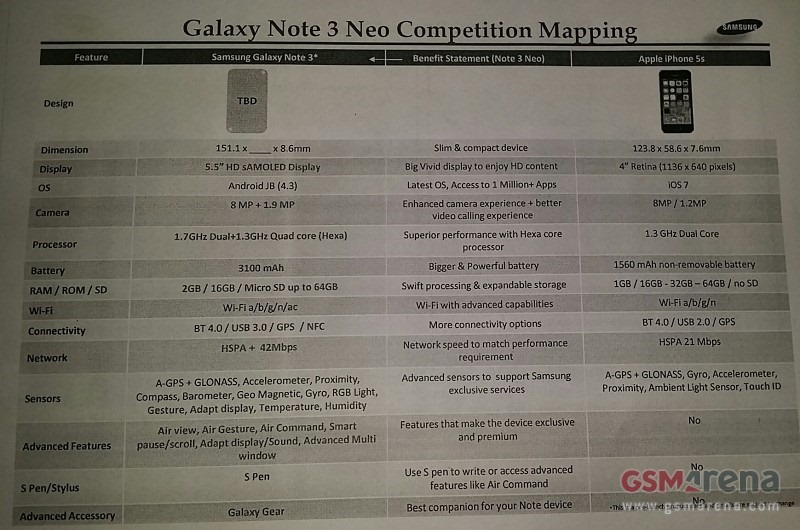 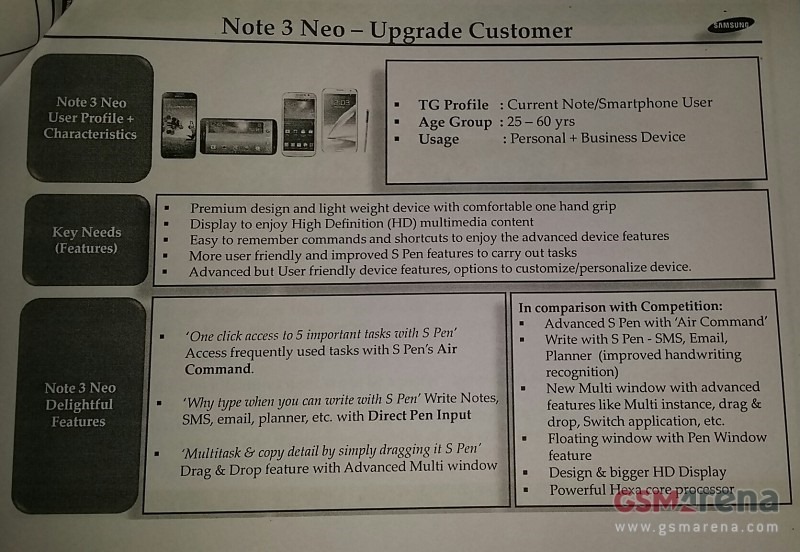 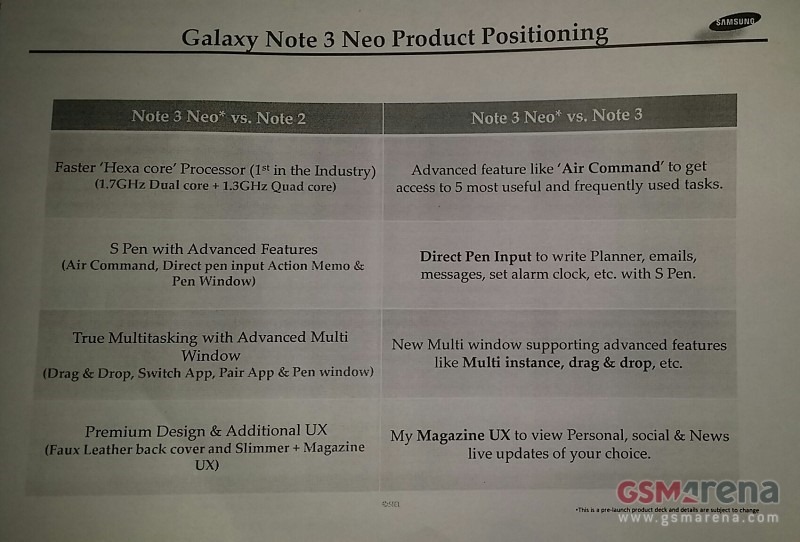 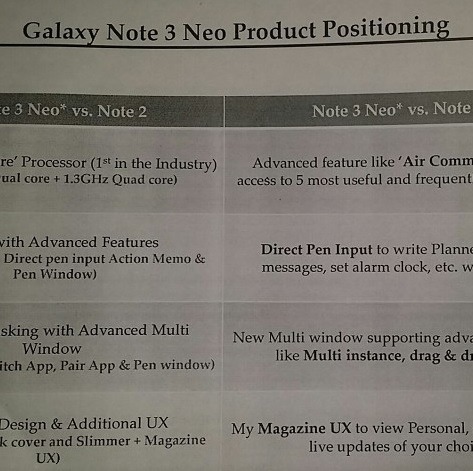 The pages reveal a device that is somewhere between the Note 2 and the Note 3. 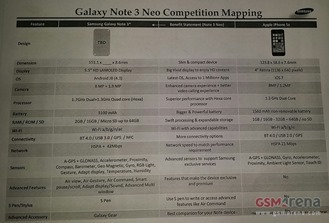 The Neo will allegedly have an 8MP camera, 3100mAh battery, 2GB of RAM, and 16GB of internal memory, all specs that put it in line with the former handset. 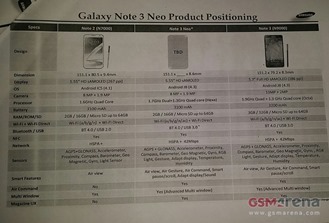 Its 5.5-inch screen is also the same size. Yet the Neo does make the jump to USB 3.0, and in addition to that, it comes with a 1.7GHz dual + 1.3GHz quad-core (Hexa) processor that should be peppier than that of the older handset. 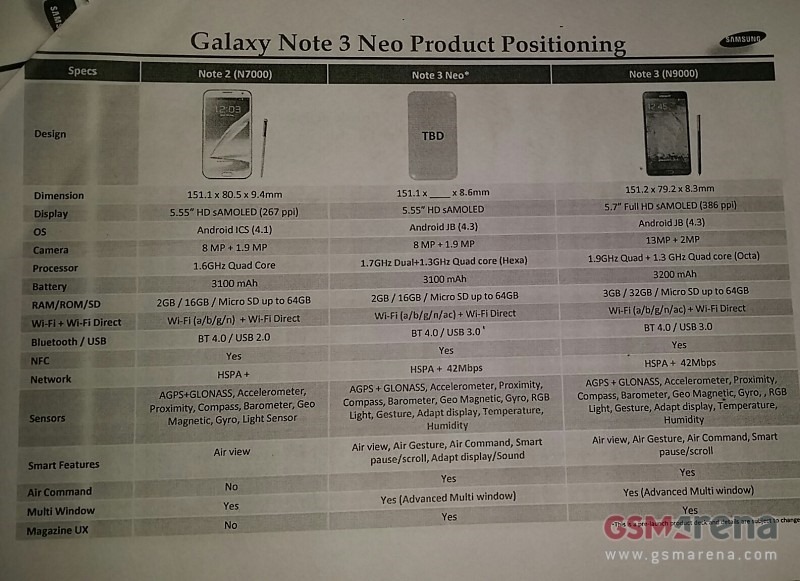 While it won't be as fast as the regular Note 3, it will still have the same faux-leather backing. 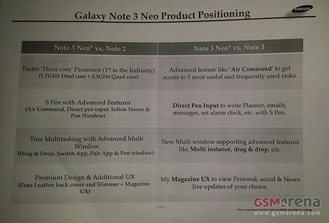 You can decide for yourself how you feel about that.